This site is very well designed and pleasing to the eye. It is also very easy to navigate around and find exactly what you are looking for. It seems in the gun community there is also lots of people arguing over stats, well if you disagree with the stats on GunData.org you can change them and the changes will be displayed publicly for everyone. It’s similar to a Gun WikiPedia in that it’s mostly user powered. We’ve uploaded a few pics of some guns that we have at home and it seemed to work easy enough really. Just attach the photo and upload once you have created your free account. 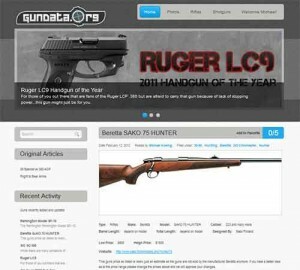 We expect that GunData.org will be a big hit with Hunters, Sports Shooters, and NRA members. 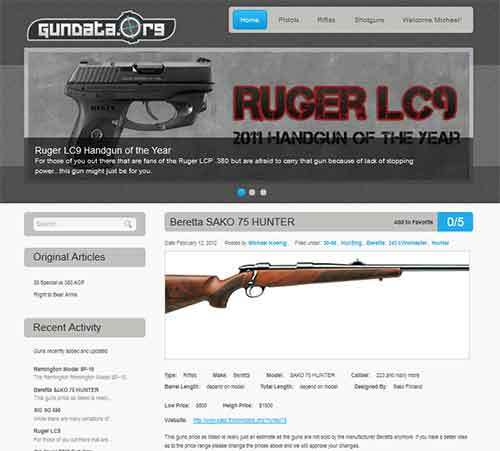 The site is also in the middle of writing some really nice articles on hot topics that are common in the gun community. 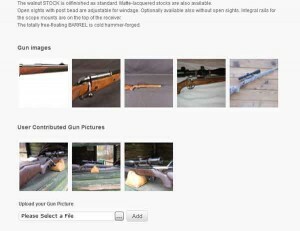 They have some really cool gun photos and there is even the built in ability to share photos of your own guns or guns you have found on the web. The upload is instant using some sort of ajax or equivalent technology and the images expand into a lightbox so you can see them better. 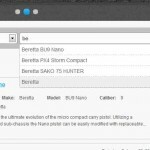 In the photo shown here someone has uploaded photos of their Beretta SAKO 75 Hunter. 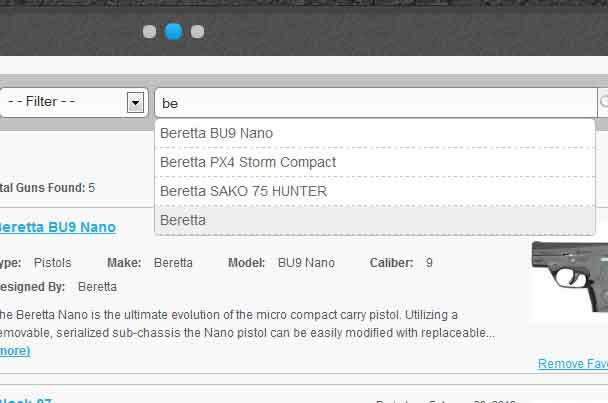 This is the first gun website i’ve seen that has a auto suggest or a search suggest that auto populates popular search terms based of a database of some sort.